The California Democratic Party has just become a little bit more undemocratic. New rules quietly enacted by the Party give Democratic incumbents for state and federal office the automatic endorsement of the Party. While in the past an incumbent would get the Party’s endorsement if he received just 70% of the votes at a pre-convention endorsement caucus or 50%+1 of the votes at the convention, incumbents will now be automatically endorsed unless 20% of all delegates from the district to file an objection. This is harder than it sounds. 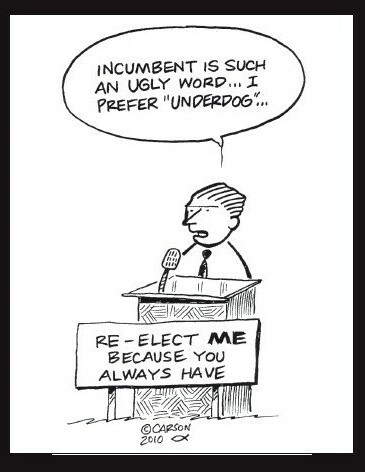 While delegates may punish a bad incumbent by voting for someone else, voting for no endorsement or not voting at all, filing an actual objection to the endorsement of someone who is already sitting in office, and who therefore enjoys a significant amount of political power, is not for the faint of heart. It also means that in races where the incumbent doesn’t have a challenger to organize an objection signature drive, even unpopular incumbents will receive the party’s endorsement. 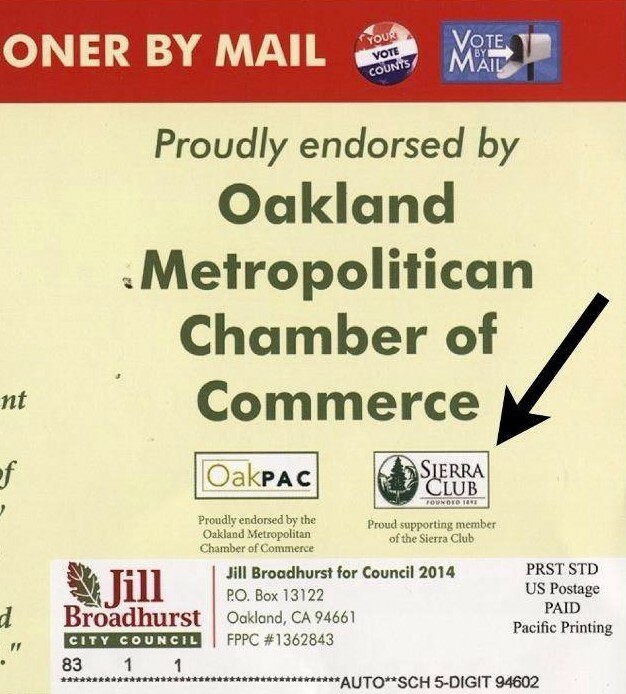 This year in Alameda county, all but one of the incumbents will be receiving the party’s automatic endorsement. The exception is Congressman Mike Honda who is facing a tough re-election fight from former Obama administration official Ro Khanna. Honda has been hurt by an ethics investigation and has lost the support of several prominent Democratic politicians. Regardless of who wins the Party endorsement, it seems likely that Khanna will unseat Honda in the fall. While it’s understandable that the Democratic party would want to solidify its support behind incumbents, a policy that benefits the establishment against what may be more popular challengers runs the risk of further damaging the party’s own standing before voters – and the weight of the party’s endorsement. 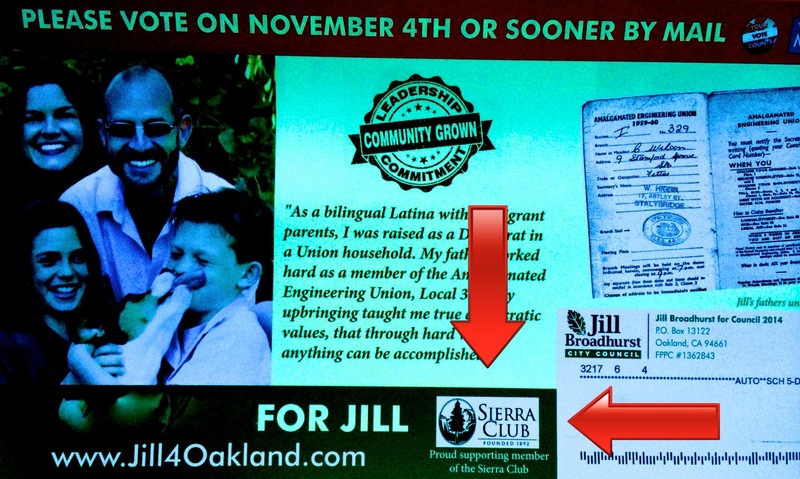 Indeed, while just two or three election cycles ago, the vast majority of candidates endorsed by the Alameda County Democratic party were elected, that number fell to about 50% in the 2014 election. Part of the reason, I believe, is that too many of the party’s endorsements are based on personal relations and politicking rather than on the personal qualifications and progressive ideology of the actual candidates. Matt Morrison is a Democrat. He is an environmentalist. He stands against development in the Pleasanton area. Developers don’t like him. 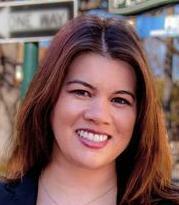 Developers, including James Tong and the Lim family, have an undue level of influence in the Alameda County Democratic Central Committee (ACDCC) , mostly through campaign manager and Executive Committee member Angela Ramirez-Holmes. So, in one of those ironies of politics, Matt Morrison was unable to get the Democratic endorsement because he is too environmentally conscious, too anti-development, too anti-making a few people rich. Those are exactly the reasons why I support him. He is fighting the good fight against very wealthy, very powerful interests who are willing to sell out the people of Pleasanton for money. He has no money, he is unlikely to win the race, but I can only hope that the citizens of Pleasanton, of all political inclinations, will vote for him. Olivia Sanwong serves with me in the ACDCC. She had no problems getting the Democratic endorsement, and she does deserve it. She is intelligent, well educated, committed to Pleasanton, and will bring to the City the perspective of a young professional. I’ve spoken with Olivia about civil liberties issues, and she is concerned about the overreached of surveillance technologies used against private citizens. As this becomes a larger issue, I think her perspective will be useful in the Council. The Pleasanton School Board is in disarray. Parents are not being heard, at least once, not even allowed to speak. Changes are made without adequate consultation with the community. District staff has been leaving in droves. Parents are not happy. A change is needed. Mark Miller is a dad. Two of his kids have graduated from Pleasanton schools. One is still in middle school. 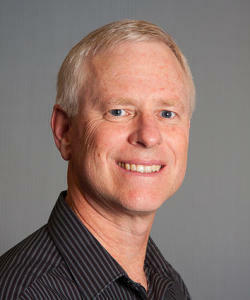 He is a smart guy, an IT professional, with an extensive history of being involved with youth. 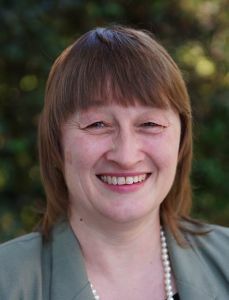 The Pleasanton School Board needs change, Miller has stepped up to the plate and has my endorsement. The race for City Council District 1 features four very different candidates with very diverse backgrounds. 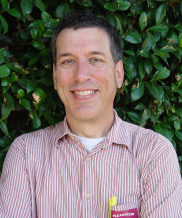 Mike Katz-Lacabe, my husband, is an IT security professional, a twice elected member of the School Board and a human rights & privacy rights activist. David Anderson is a retired sheet metal worker who moved to San Leandro a few years ago. Ken Pon is a self-employed accountant, very active in the Downtown Business Association and other civic organizations. Deborah Cox is a home maker and prodigious fundraiser, who has chaired several community organizations, mostly related to education. They will be elected through ranked choice voting, which allows voter to rank up to three candidates in their order of preference. In San Leandro, all voters are able to vote for all City Council and School Board seats. 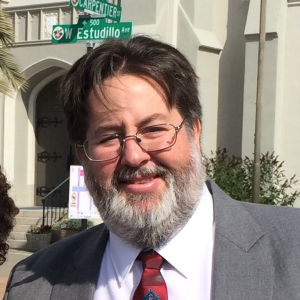 It won’t surprise anyone that my first choice for this district is my husband, Mike Katz-Lacabe. I could claim to be unbiased, but I can’t possibly be so. I know him much more than any of the other candidates and I married the man, in part, because I appreciate his qualities. Many of those qualities, though not all, will make him be a great city council member. The best I can do for my readers is to be as candid as possible about both his strengths and faults and let the voters decide. 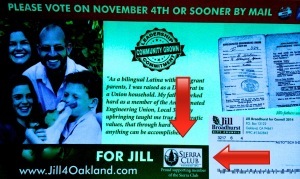 Mike’s greatest strength on this race is that he’s the only candidate who knows what’s going on at City Hall. Not only has he either attended or listened to every City Council meeting for the last four years, but he actually reads the background materials and does his own research. That’s how he discovered that, unbeknownst to the City Council, the surveillance cameras they voted to approve would have hidden microphones. He found out the San Leandro Police Department would be getting an armored personnel carrier by looking through the minutes of the Alameda County Board of Supervisors. Simply said, there is nobody in San Leandro who knows more about what’s going on in town and who is most committed to finding out what’s left hidden. Mike is also uncommonly intelligent and competent. While it’s the former that I cherish most as his wife, it’s the latter which made him succeed both in the School Board and in his career. When push comes to shove, you want people in power who can both understand the big picture and come up with solutions to short and long term problems. The flipside is that when you are competent, people come to rely on you and you end up being pulled in too many directions. One of the qualities that drew me most to Mike was his intrinsic morality. He knows right from wrong, and he strives to do the former. This is a very rare quality in a human being, much less in a politician. He is committed to human rights, social justice and to make people’s lives better. If he wasn’t an atheist, he’d be a great Christian. Finally, Mike’s social skills have served him very well in the School Board and I think they will continue to do so in the City Council. Unlike me, Mike doesn’t make many enemies. He treats everyone with respect and receives it in turn. He believes in the need for collaboration and therefore he doesn’t burn bridges. I am concerned, however, about Mike’s effectiveness as a legislator. In the School Board, he was unable to pass progressive policies such as banning the teaching of overtly religious songs to elementary school children, de-emphasizing standardized testing and passing a district-wide research-based homework policy. In my opinion Mike’s greatest flaw as a Board member has been his unwillingness or inability to hold the Superintendent and staff accountable for significant gaffes. For example, when then Superintendent Cindy Cathey attended a City Council meeting to speak against marijuana dispensaries, he did not publicly call her out on this. Cathey did it at the request of the Chief of Police and without informing the Board, which constitutes an abuse of power that merited a censure. I can only hope Mike will take a stronger attitude towards the City Manager, if he blindsides the Council in a similar manner. Ken Pon is not a particularly strong candidate. Though he is an accountant, he has demonstrated a lack of knowledge about the City’s finances. He has not been attending City Council meetings and his knowledge of what’s going on in the City seems sketchy. He would not answer the Nextdoor/SLT candidate questionnaire. On the plus side, Ken Pon does have legislative experience – he served two terms in the School Board – and while he lost re-election after a financial scandal, he at least understands how a body of this type works. City Council member Ursula Reed, who had neither held elected office nor attended Council meetings before being elected, famously said that it took her a whole term to learn the job. Pon is likely to need less time. Pon also seems less likely to be a pawn for the City Manager/Police Chief. He is not blindly supporting measure HH and he is not as beholden to the police union as his opponents. I have decided to recommend David Anderson as my third choice vote after the last candidate forum, where the differences between Anderson and Deborah Cox became clear. While they are both conservative and pro-law enforcement, Anderson is committed on hearing what the community has to say, while Cox is mostly interested in doing what the Police tells her. When asked how they’d vote on the City acquiring an armored personnel carrier, Anderson said he was personally against it but would hold community fora to hear what the citizens had to say. Cox was only interested in talking to the police about it. David Anderson and Deborah Cox would both, however, make terrible additions to the City Council. 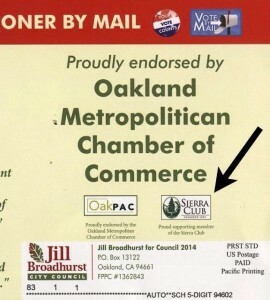 Neither of them has been able to articulate any specific policy or plan they would pursue if elected, neither seems to have even the most basic understanding of how the City Council and City Hall work, neither attends City Council meetings, and Cox’ only policy contributions have been to advocate against medical marijuana dispensaries (a position she abandoned when she sought the Democratic Party’s endorsement) and for the closed sale of the city-owned former downtown Albertson’s property to developer David Irmer, one of her campaign contributors. Moreover, neither was willing/able to return the SLT/Nextdoor candidate questionnaire and at the candidate fora both candidates said nothing but platitudes, and not particularly well articulated ones. Moreover, they are both supported by the Benny Lee camp. 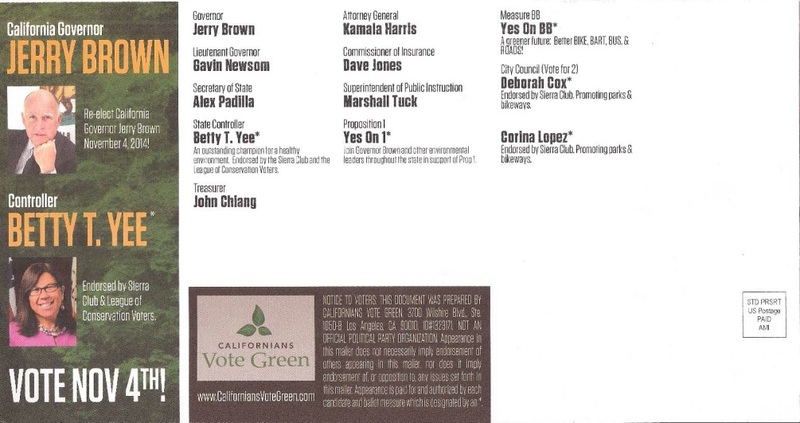 Anderson features several photos of himself with Benny Lee on his fliers while Lee’s close associates are advocating for Cox.